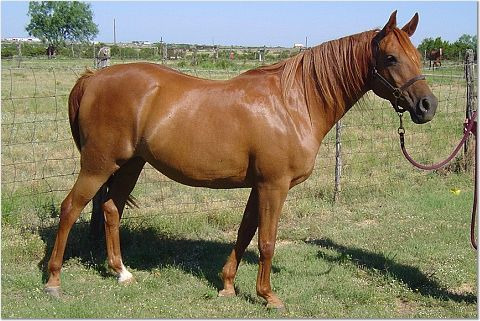 Joyeria is a 1997, 14.3 Chestnut Purebred Arabian mare. 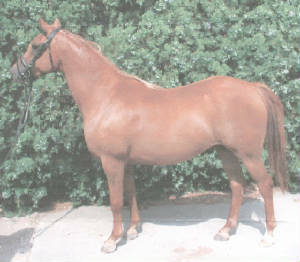 Joyeria's full brother is the 2003 Arabian Sporthorse National Champion at Fourth Level dressage, ATR, (Top Ten in Open) and in 2004 won the Regional Championships at Fourth Level and Prix St. Georg for their region. Excellent opportuntity to purchase an athleticly bred mare with top Polish-domestic (*Bask-Gdansk-Bay Abi-Real McCoy) pedigree. Sire, Duel, was a US National Top Ten English Pleasure horse. She has had a saddle on her back, however has not been started. Easy to handle on the ground, started under saddle and ready for further training and/or breeding.